VALENCIA • It was not a Wednesday evening that Jose Mourinho, Phil Jones or Paul Pogba will remember fondly. Manchester United had the chance to win their Champions League group, but they failed. Pogba had the opportunity to prove his worth to Mourinho, but he failed. The less said about Jones, the better. 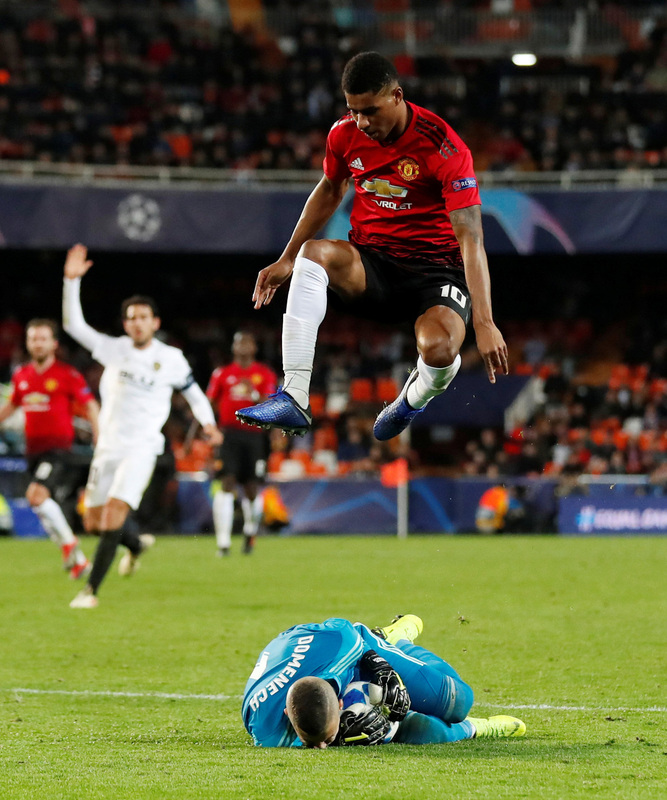 The Red Devils had qualified for the round of 16 before they set foot in Spain but, with Juventus falling to a surprise 2-1 defeat away to Young Boys, victory in Valencia would have been enough for United to seal top spot in Group H.
But they were beaten 2-1, a result owing to their miserable performance and a dispirited Mourinho said after the match that "nothing surprised" him. "I didn't learn anything at all," the United manager said of his players, after he fielded a line-up that included eight changes and a return for Pogba, who delivered a sluggish display at the Mestalla. "Nothing surprised me at all... I expect more from my players, especially players that week in, week out, they (the media) ask why they don't play, why they don't start. It was a good match to play, without any kind of pressure, in a competition everyone likes to play in. "And, in the end, my team improved (only) when I made changes I didn't want to make, which is frustrating because I didn't want to play the three players that I played in the second half. "Before the game, I told the players, if we win tonight and Juventus win, we did our job; if we don't win and Juventus doesn't win, we can blame ourselves." Marcus Rashford, who scored United's goal, Jesse Lingard and Ashley Young were all introduced in the second half. Finishing first in the group would have earned them a relatively easier tie against one of Atletico Madrid, Roma, Schalke, Ajax and Lyon when the last-16 draw takes place on Monday. They would also avoid the likes of Barcelona, Real Madrid and Paris Saint-Germain. Despite his disappointment, Mourinho insisted that qualification was what really mattered. "I think to qualify in this group is a success, never a failure. To finish second in this group is always a success," the Portuguese added. "Apart from a couple of clubs that are clearly much better than the others, I don't think the (last-16) draw will be significantly different." 1 - Phil Jones is the first Manchester United player to score an own goal in the Champions League since Phil Jones in November 2011 against Benfica. 3 - Manchester United progressed to the knockout stages with three wins in the group for the first time since 2008-09, when they won two. That season, they lost in the final to Barcelona. Jones scored an own goal just after the break to double Valencia's lead after Carlos Soler had put the home side ahead in the 17th minute. Rashford gave United hope with an 87th-minute header but it proved too little, too late. Mourinho explained that injuries forced him to make eight changes to the team that beat Fulham on Saturday. Only David de Gea and Nemanja Matic were rested. I didn't learn anything at all... I expect more from my players, especially players that week in, week out, they (media) ask why they don't play.
'' JOSE MOURINHO, who was left unimpressed by his players.